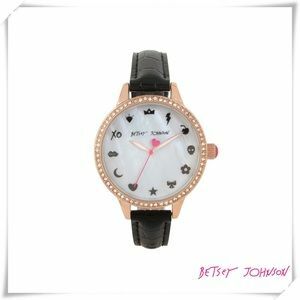 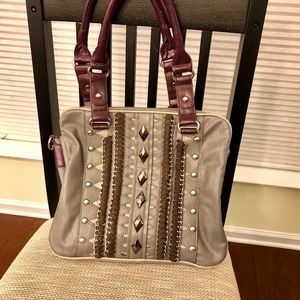 Made of vegan leather, signature stud design at front with a bedazzled buckle belt detailing, dual top handles, metal zipper closure with NL monogrammed zipper pull, zip wall pocket at back, structured silhouette, protective metal foot base and NL nameplate at front.Inside two large compartments, zip wall pocket with NL nameplate at back, double open wall pockets at front, and NL Lip print nylon lining. 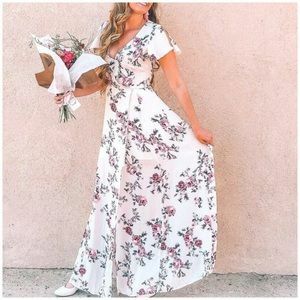 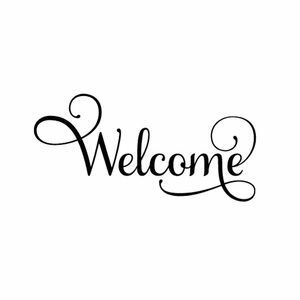 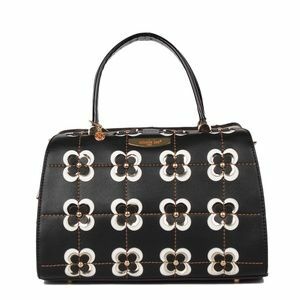 Handles with 6" inch drop.Includes adjustable and detachable 44" - 53" inch shoulder strap. 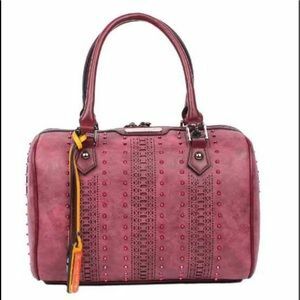 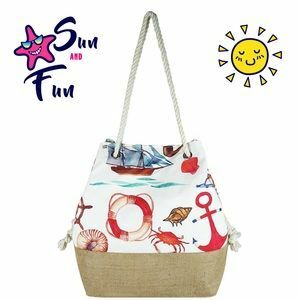 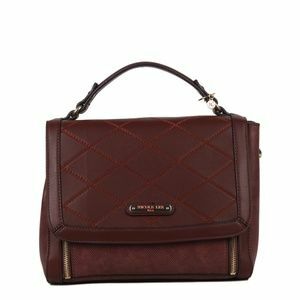 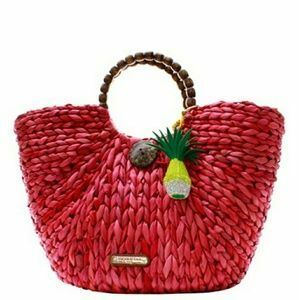 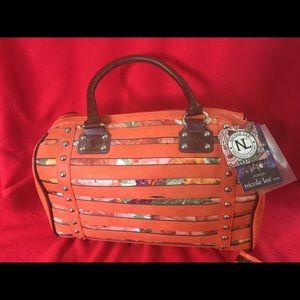 NICOLE LEE RED BRAIDED STRAW HANDBAG! 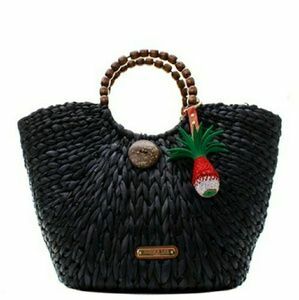 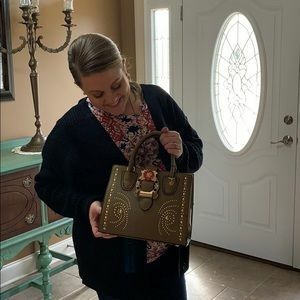 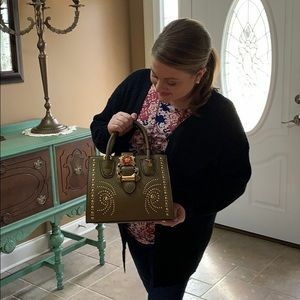 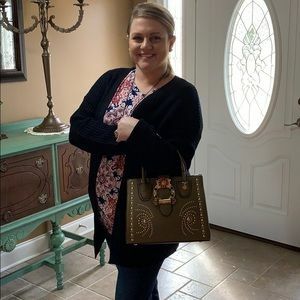 NICOLE LEE BLACK BRAIDED STRAW HANDBAG! 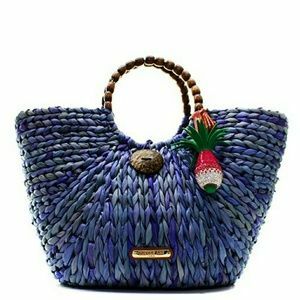 NICOLE LEE BLUE BRAIDED STRAW HANDBAG! 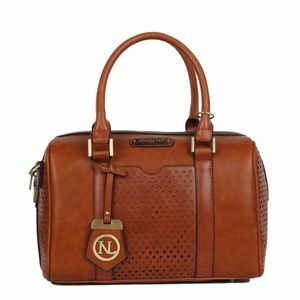 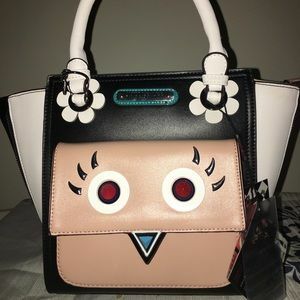 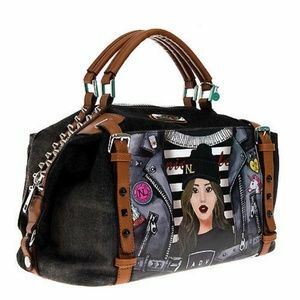 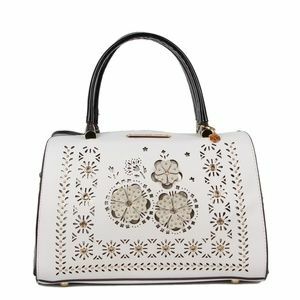 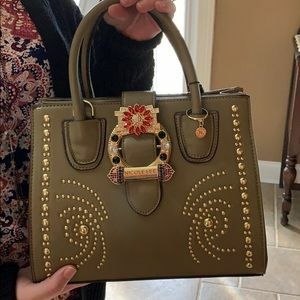 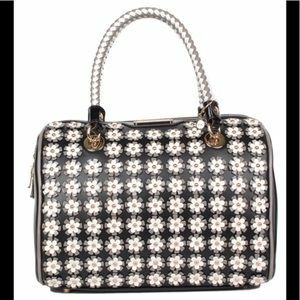 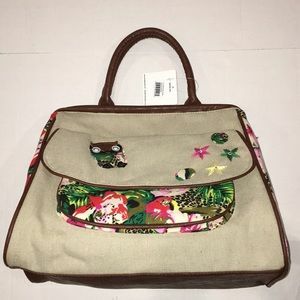 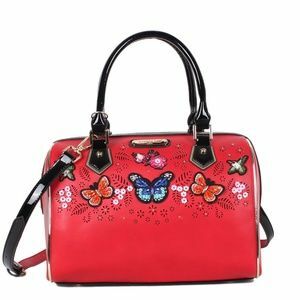 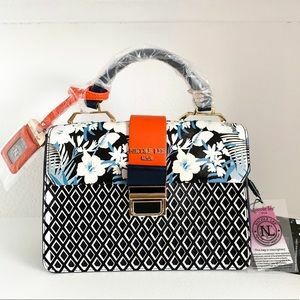 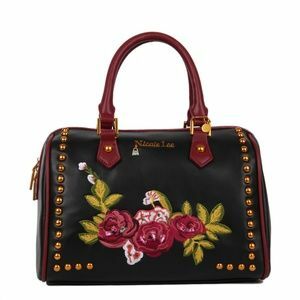 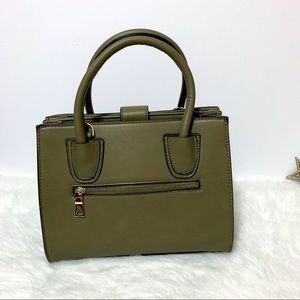 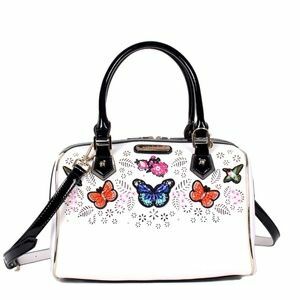 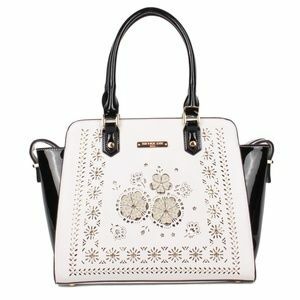 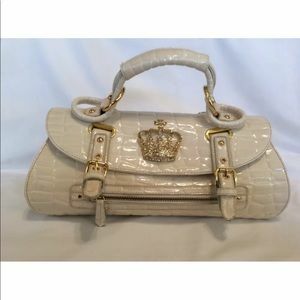 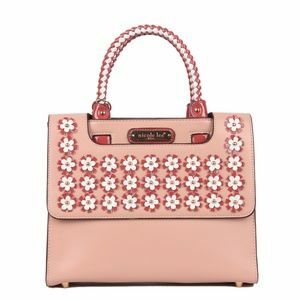 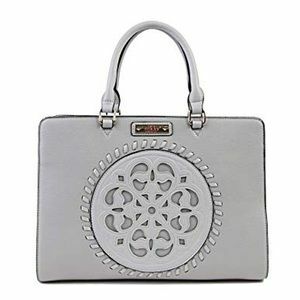 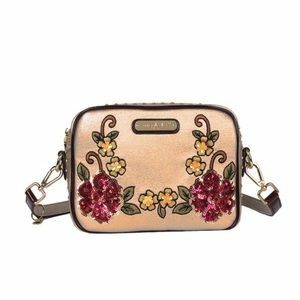 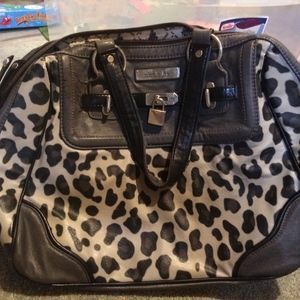 Nicole Lee Embellished Boston Bag New.